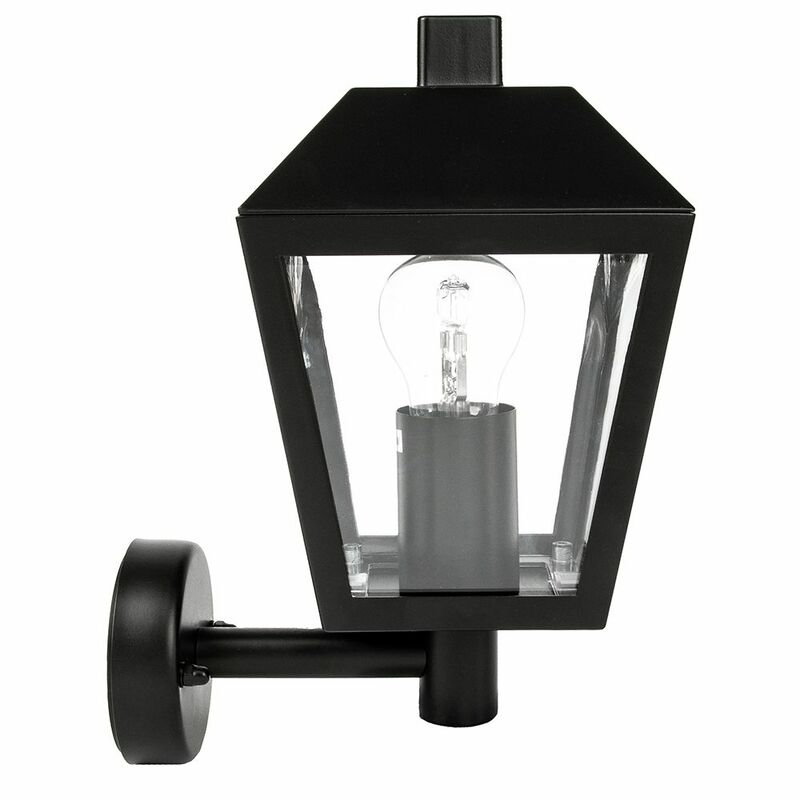 Traditional and unique exterior IP44 wall light fitting with matt black die-cast aluminium frame. Features thick transparent glass sides and must be fitted vertically as pictured. 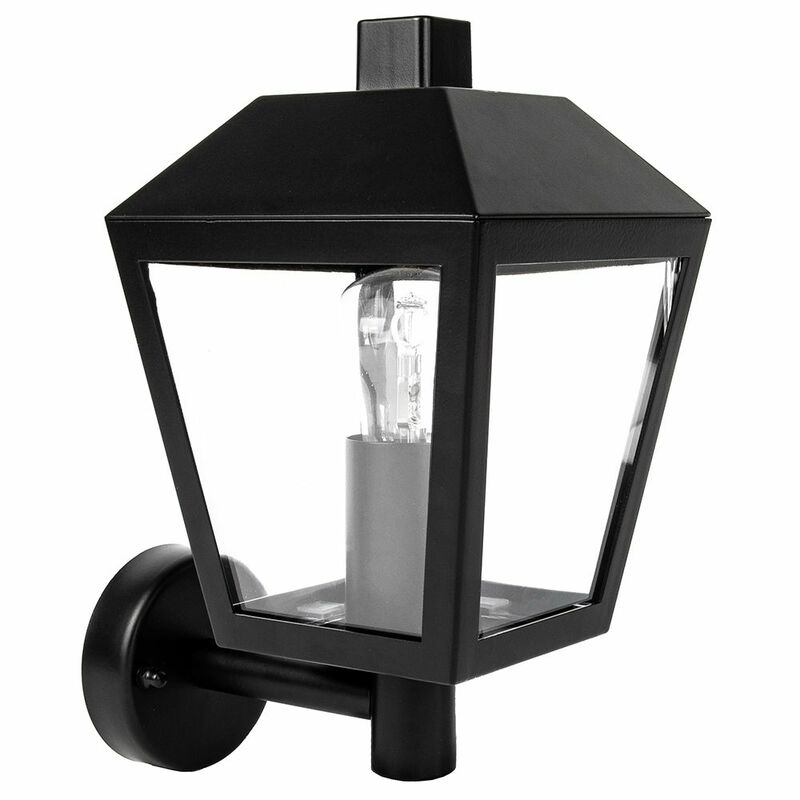 Product measurements: Height: 28cm, Width: 15cm, Projection: 20cm. Requires 1 x 60watt ES GLS bulb (not included). 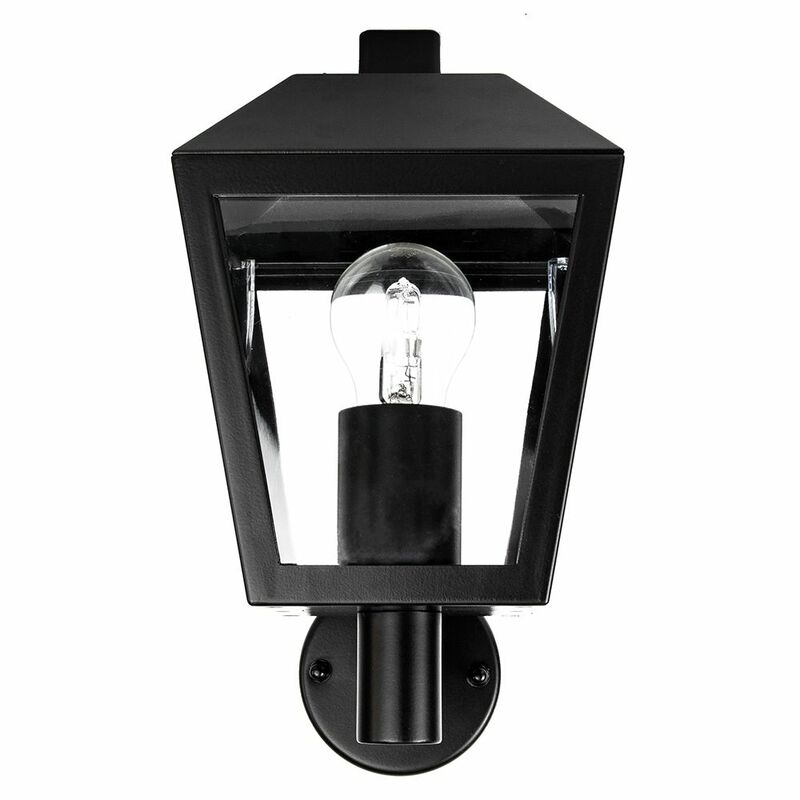 Low energy and LED bulbs may be used if desired.